You join me halfway through my recovery :) I am getting the itch back again, just the energy and the actual doing .. not so much lol. I am going to try and take it slow and steady and build up, so today, we try something new - the mini review. This is designed to be shorter and sweeter than my older posts, and therefore less strenuous on me, but just as gorgeous for you! 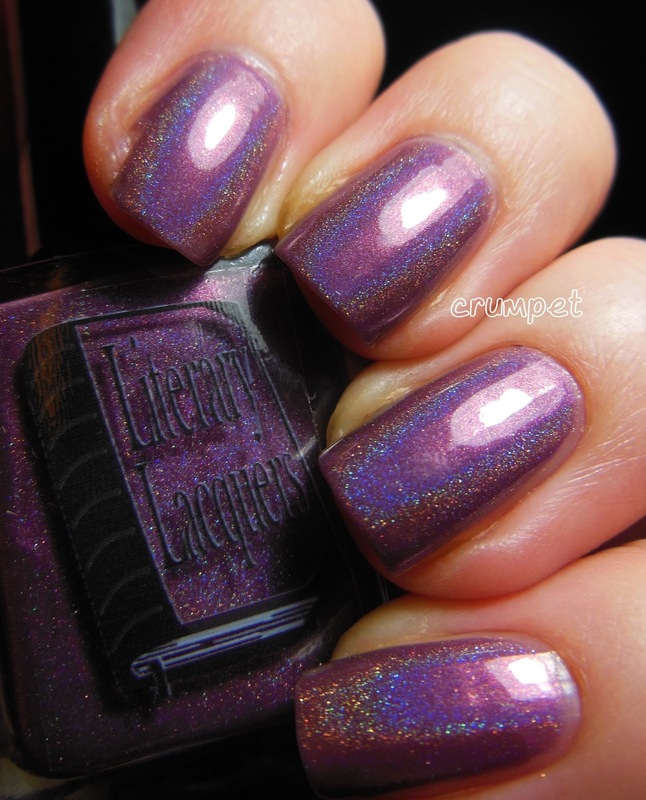 Today we have one of my favourite brands - Literary Lacquers - who sent me her latest collection for review. I chose Everything You Love first, partly because of the gorgeous photos I've seen of it, and partly because the name seemed appropriate. 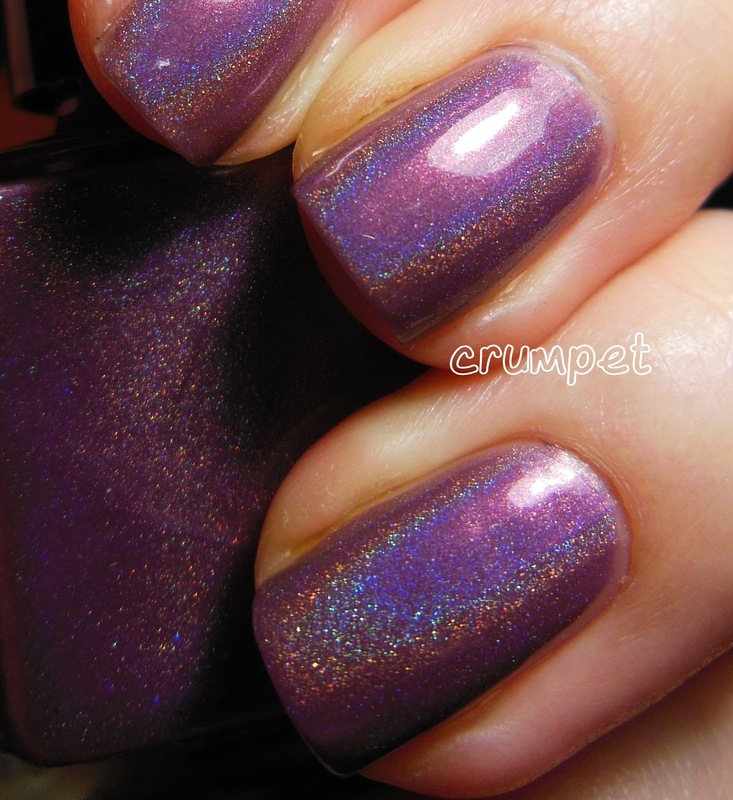 This is a baby soft purple, a subtle newborn holo, brown-based. 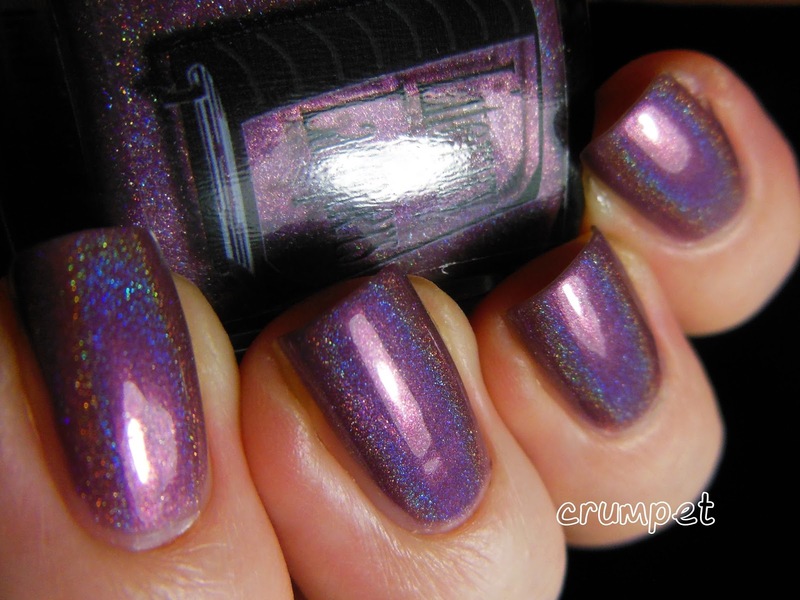 I am starting to get jaded with purple holos, but this is *just* different enough to keep me hooked.